This week I have been using my ‘Man-Alt’, his name is Mr. Lastchance (no kidding, that is his actual lastname), for some pictures I published on Flickr: here, here and a slightly NSFW here. His wardrobe is not that extensive at the moment, so I decided he should go shopping a bit. I gave him money – sigh…. – and off to FATE-wear he went for a nice t-shirt! Oh by the way, for the gentlemen reading this: FATEwear is celebrating their first anniversary soon and if you subscribe at the entrance of the store you will receive a free sleeveless hoodie! Of course Mr.Lastchance picked one up too, for later :). I love the building of FATEwear, great for inworld shopping! For some reason I gave Mr. Lastchance a hood with a mask last week and I kind of like that on him, maybe it is because I am still not sure about his looks. It is really NOT easy to create a manly man without making him a Hulk or some creep….Although I like dressing him up and using him for pictures, I am still not really satisfied about his general appearance. 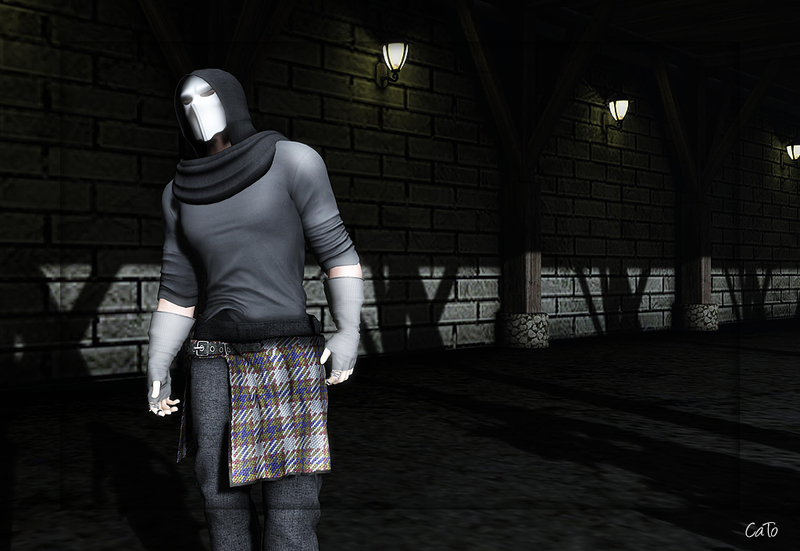 There he is….wearing the Nathan Shirt by FATEwear, Madpants from !Go, fingerless gloves with mesh hands from .Shi (@The Arcade), the Ripper Hood &Mask by <H>. 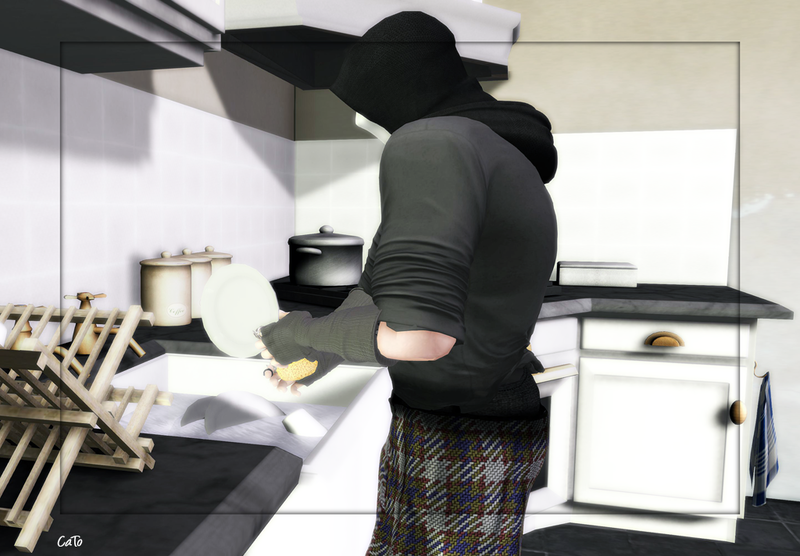 After all this shopping, he was so kind as to do the dishes for me…..he is a good boy!